Sure, it can seem like the whole world is already right at your fingertips here in New York City, but don't let that stop you from nabbing a passport and setting out on a proper international adventure. You'll need a valid U.S. passport to travel outside of the U.S., and while applying for one can seem like a bureaucratic hassle (especially when considering that passport applications cannot be fully processed online), it's easy enough in to get one in Manhattan if you know just what to do. Here's everything you need to know about getting a passport in NYC. 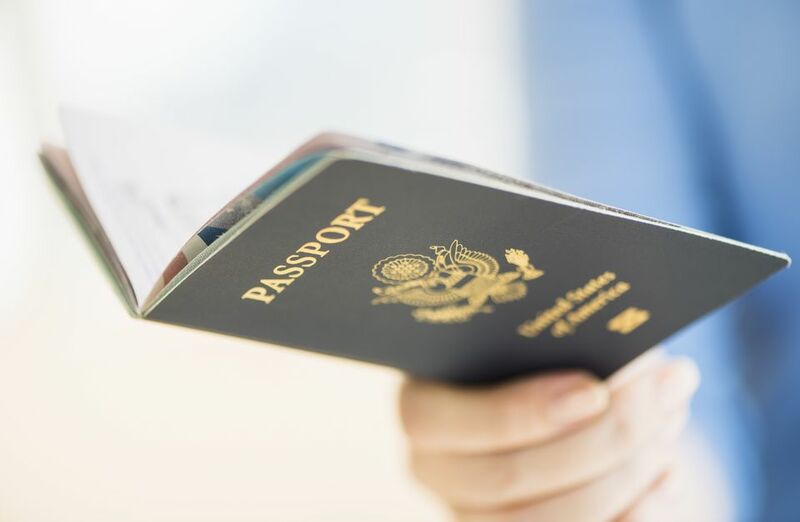 All individuals, regardless of age, need a passport when traveling internationally by air. There are some exceptions for land and cruise travel. If it's your first time applying for a passport, note that you'll be required to apply in person. You must also submit your application in person if the following conditions apply: you are under age 16, or your previous passport was issued when you were under age 16 (note there are special submission requirements for ​minors under age 16); your previous passport was lost, stolen, or damaged (see How to Renew or Replace a Passport in NYC); or, your previous passport was issued more than 15 years ago. In-person applications are accepted at authorized Passport Application Acceptance Facilities—there are 27 locations currently listed in NYC. You should call to verify with the facility closest to you to see if appointments are needed for passport processing. If your passport was issued when you were age 16 or older, your passport will be valid for 10 years; if you were age 15 or younger, it's valid for 5 years. It's recommended that you renew your passport about 9 months before it's set to expire. You'll need to bring application form DS-11; to submit evidence of U.S. citizenship (like a certified U.S. birth certificate or a certificate of citizenship—note all original documentation will be returned to you); and to present an approved form of identification (such as a valid driver's license; you must present both the original document and a photocopy). You're also required to bring along a passport photo (see the specific photo requirements), along with payment (see up-to-date passport fees). Routine passport processing takes approximately six weeks. By providing a supplementary fee of $60 along with your in-person application, you can expedite the processing of your application to arrive by mail within three weeks. In Manhattan, even faster expedited service is possible, with passports issued within 8 business days. This service is exclusively available to travelers who are leaving on an international trip in less than two weeks, or who need to obtain a foreign visa within four weeks. Arrangements can also be made for emergency situations that require immediate travel. Applicants with such circumstances must make an appointment (available Mon–Fri, 8am–6pm, excluding federal holidays) with the New York Passport Agency, and will need to provide a hard copy indicating proof of travel. Note the standard $60 expediting fee applies, along with additional application fees imposed by the agency. Appointments are required—call 877/487-2778 (it's a 24-hour appointment line). The New York Passport Agency is located in the Greater New York Federal Building, at 376 Hudson St. (between King & W. Houston sts.). For more information, visit travel.state.gov. You can also contact the National Passport Center by phone at 877/487-2778 or e-mail at NPIC@state.gov with any further questions.